In a series of dental articles, the Saskatoon dental team at Neesh Dental share interesting dental information and education. In our latest post, we discuss root canals! A root canal is a relatively simple procedure that can save a tooth with a diseased nerve. Without root canal therapy, you could lose that tooth. Root canals typically cause little or no discomfort and can be done in one to three visits to Neesh Dental. What necessitates a root canal? Inside each tooth is the pulp, which is soft tissue that contains nerves and blood vessels. It lies within the tooth and extends from the crown of the tooth to the tip of the root in the bone of the jaw. When the pulp gets diseased or injured, the pulp tissue dies. If you don’t remove it, the result can be pain and swelling and your tooth gets infected and you could lose it. 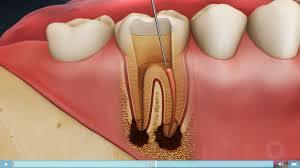 After the dentist or endodontist removes the pulp, the root canal is cleaned and sealed off to protect it. Then, your dentist places a crown over the tooth to help make it stronger. Treatment often involves one to three visits to the dentist. 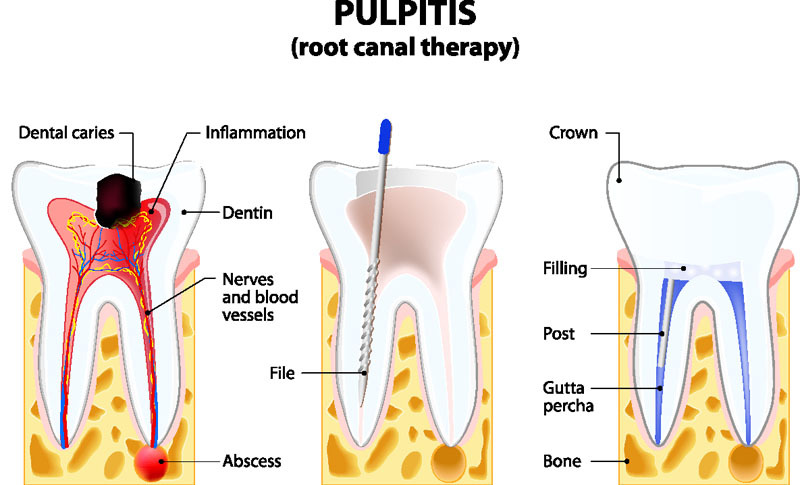 During treatment, your dentist or endodontist removes the diseased pulp. The pulp chamber and root canal(s) of the tooth are then cleaned and sealed. 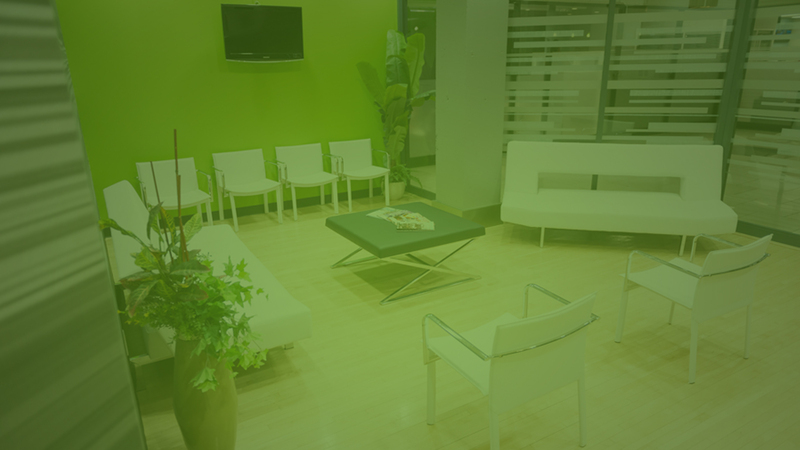 Local anesthetic usually is given to maintain patient comfort. The affected tooth is isolated from saliva with a rubber-like sheet called a rubber dam. An opening is made through the tooth (or crown). The pulp is removed and then the root is cleaned and shaped. Medication may be added to the pulp chamber and root canal(s) to help cleanse the tooth and/or eliminate bacteria. A temporary filling is placed in the opening to keep saliva out. Antibiotics may be prescribed if an infection is present and has spread beyond the end of the root(s). The temporary filling is removed. The root canal is filled and permanently sealed. Your dentist will also make preparation for a crown to be placed on the tooth. Crowns are made from a variety of materials, depending on the location and color of the tooth and the amount of natural tooth remaining. Discuss with your dentist which option is best for you. If you take care of your teeth and gums, your restored endodontic tooth could last a lifetime. However, regular checkups are necessary. As long as the root(s) of a treated tooth are nourished by the tissues around it, your tooth will remain healthy.